You are invited to an introductory presentation for Engaging Wonder: A Christian Path to Wholeness. Joe Grant, a locally recognized writer of transformational processes and Christian leader, offers this presentation as an introduction to a Engaging Wonder: A Christian Path to Wholeness being offered in July. Whether you are an interfaith seeker or interested in the Christian wisdom tradition you will find this presentation to be inspiring. A native of Scotland, Joe Grant received a Master of Divinity degree from Catholic Theological Union, Chicago and has served as a minister in Europe, the U.S. and Latin America. As Director of Programs for JustFaith Ministries, he created nationally recognized processes for youth and adults, and in 2004 received the National Federation for Catholic Youth Ministry award for Gospel Values of Peace and Justice. Joe lives in inner-city Louisville with his wife and family and is a co-founder of CrossRoads retreat center. 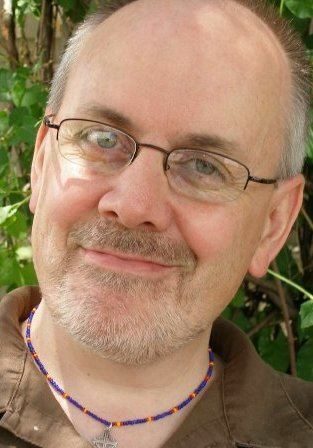 Joe has authored numerous books and articles on scripture, justice and spirituality. His most recent publication is entitled Still In the Storm, Reflections for Engaging Spirituality in times like these (http://justfaith.org/shop/).